When thinking about the overall look of your home, most people start from the inside out. But, the first impression everyone will get from your home is just the opposite. Whether someone is driving by, you want to show off your personality, or if you’re looking to boost up the resale value of your home, there is no better way to do it than with specialty siding. Specialty siding is a great way to show off just who you are, and the personality that is going into your home from the outside-in. So, how does specialty siding differ from more traditional materials? Well, the sky’s the limit as to what you can choose. From Clip Stone rock veneer siding to vinyl log siding, specialty siding really allows your house to stand out from the crowd, and provide a pop of vibrancy to the homes in your neighborhood, and on your street. Perhaps the most notable perk to specialty siding is the wide variety of colors, styles and textures you can choose from, so no matter the overall theme of your house, or the look you’re going for, you’ll find something that fits your needs. Turn your home into a country cottage with Red Cedar of Driftwood shake colors – it’s a perfect way to capitalize on the rustic, charming farmhouse feel that is taking the home industry by storm. If you’re looking for something a bit more modern, you can choose siding with shapes and design. Whatever you decide, your home will be a complete reflection of you, and with the durability and quality of most specialty siding materials, not only will your home look great, but it will stand the test of time, no matter what. When it comes to specialty siding installation, Diversified is proud to be Tulsa’s premier provider. We’ll work with you to make sure the siding you choose is the perfect fit for your home, and provide quality professional installation service from start to finish. Our years of experience in the industry have given us the opportunity to see and install a wide variety of specialty siding, so we’re happy to guide you along the way with any questions you may have. 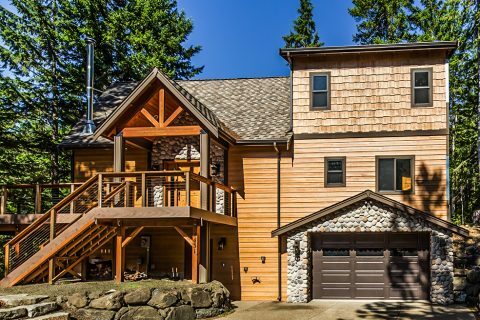 Making the choice to install specialty siding can feel like a big one, especially if you’re going for a unique look. Let us take away the worry, and let our industry knowledge offer you peace of mind when it comes to selection and installation. We know you’ll love the new look of your house with specialty siding. Want to find out more about our specialty siding Installation services? Contact us now at (918) 855-7597 or click the quote button.